Strategy is vital to any game, even ones where the emphasis is placed on story, such as our beloved RPGs. 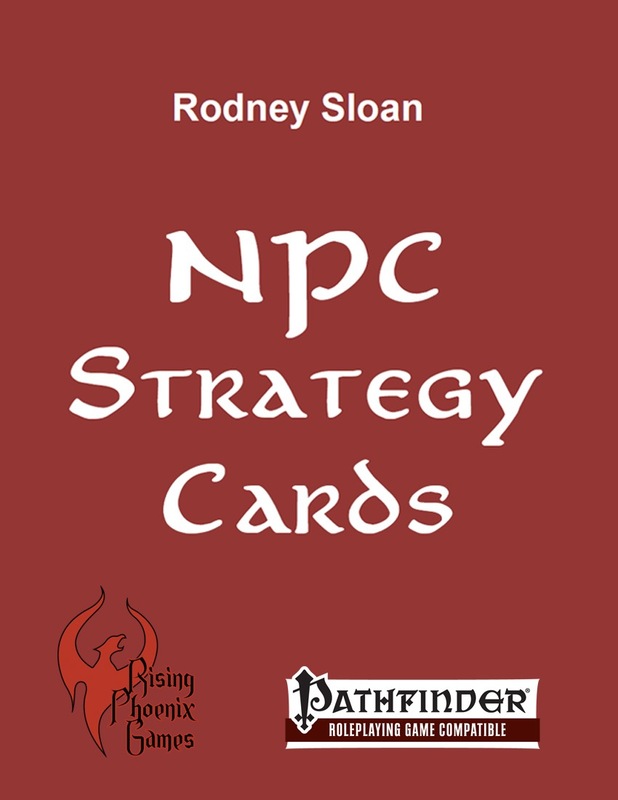 With these handy strategy cards you can quickly create strategy references for your play sessions to help you run your monsters, or use them in solo or GM-less games to help you keep your focus on your own character. A sample Battle Strategy Sheet, like the one above. Two blank sheets on a separate page: print as many copies as you need. A description of all the fields on the sheet. 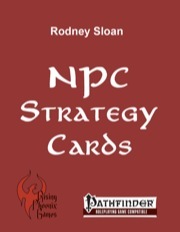 The sheets are fully compatible with any NPC or monster from the Pathfinder Roleplaying Game and similar role-playing games.